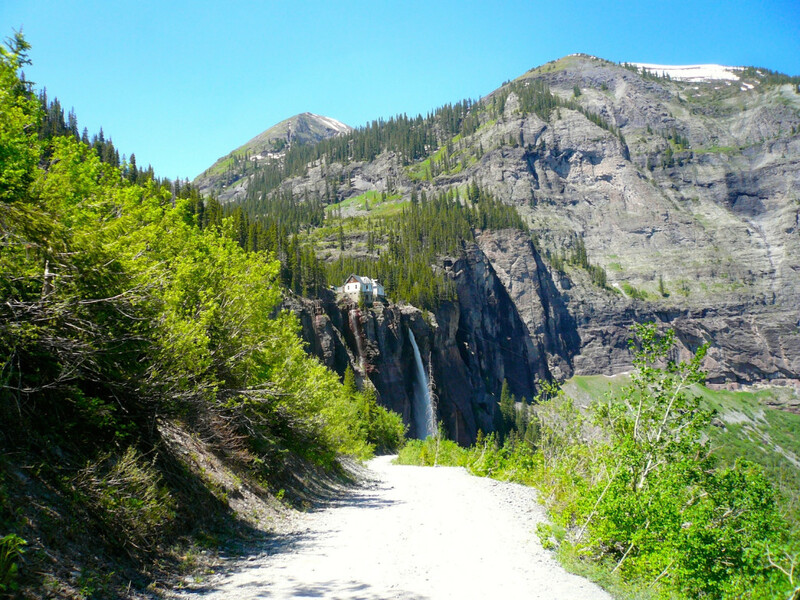 The jeep road up to Bridal Veil Falls can be seen from downtown Telluride, zig-zagging its way up the picturesque box canyon. Get an early start so as to avoid overlapping too much with jeep traffic between the base and the top of Bridal Veil, which tends to be heavy by late morning and afternoon. The rocky, gravel switchbacks up to the falls offer a steady climbing grade—challenging, but not too strenuous. At 1.2 miles, you’ll reach the awe-inspiring base of the falls, where you’re sure to get sprayed with a chilly mist. Continue on another three quarters of a mile to the top of the falls, where a privately owned power plant sits. Listed on the National Register of Historic Places, the plant provides about 25 percent of Telluride’s electricity. Duck through the large opening in the gate on your right-hand side to hike past the power plant on an old mining road. From here, your best bet is to have a map along to negotiate your route of choice—the short, strenuous hikes up to Silver Lake on your right, to Ingram Peak on your left, or the longer treks south through wildflower-laden hillsides to Mud Lake and Blue Lake. Along the way, you’ll pass many old mining buildings, tram towers, abandoned pipes, and other old mining detritus. Stay on trail at all times, as swaths of the basin lie in private property. Also, beware that the road up to Bridal Veil lies in prime avalanche territory—so avoid the temptation to wander too high up the road in early-mid spring when heavy snow still exists along the higher chutes and switchbacks. 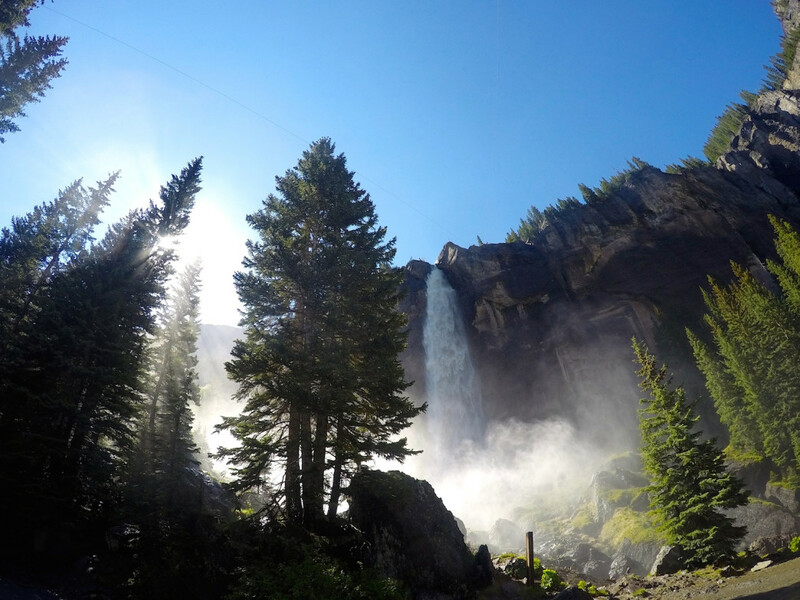 At 365 feet, Bridal Veil Falls is the tallest free-falling waterfall in all of Colorado. Stand in its impressive mist at the base, then make your way out of the jeep crowds by hiking to the top and onward into the expansive Bridal Veil Basin with its smorgasbord of alpine lakes, trails, and waterfalls. Wildflower enthusiasts, history buffs, alpine-lake aficionados, or any ambitious soul looking for a long, stout day hike high above town.